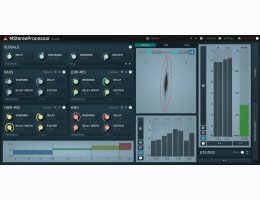 MStereoProcessor is an advanced mastering multiband stereo analyzer and enhancer plugin, which lets you easily control the stereo image and the necessary perception of depth and space. When mastering is not enough to control broad-band width it's time to try MStereoProcessor with it's 4 bands and 3 crossover types. Each band provides width control and an exciter for additional clarity. 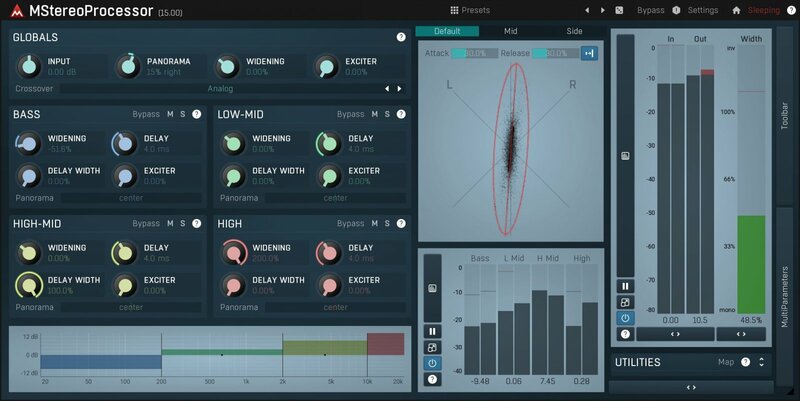 Integrated analyzers give you an accurate view of the output stereo profile, which you can use to ensure the recording is wide enough and has the correct stereo image. Additionally you can easily check by listening that your recording is mono compatible and what the stereo content actually is.